Place of Birth: Benton Harbor, Michigan, U.S.
Sinbad is an American comedian and actor. Sinbad was born David Adkins, and is the son of Louise and Donald Beckley Adkins, a Baptist minister. His parents are/were both African-American. Sinbad’s parents are pictured here. 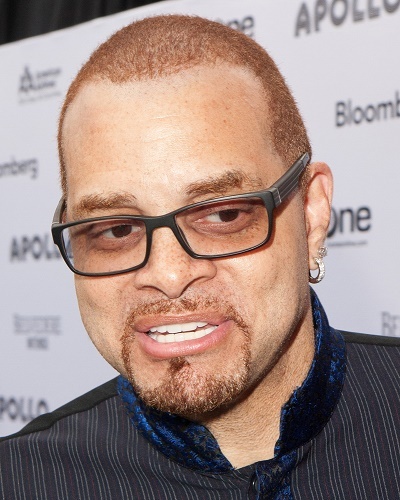 Sinbad is married to Meredith Fuller, with whom he has two children. As someone else said, he either has a rare genetic mutation, or he’s adopted. The pictures of his parents are poor quality, they look mixed race themselves though darker than their son.